Many times I come across stories that truly pull at my heart. In life, none of us are exempt from trials, however the intensity and struggle of some leave me in ahhh over how these individuals can endure and overcome them. There is no question in my mind and heart that having a testimony of the life and divinity of our Savior Jesus Christ is the only way to find strength to endure our burdens and bring peace to our souls. The Schneberger family is a true testament of this. 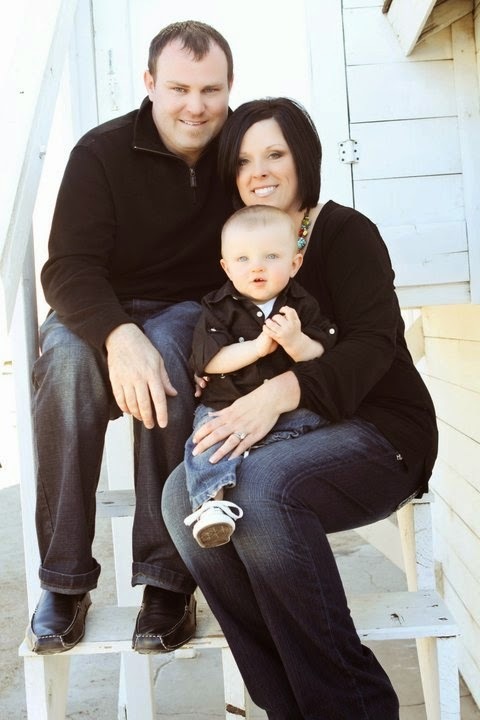 Jake Schneberger is a husband and father who has lived a life full of love and joy with his beautiful family in Oklahoma. His life suddenly took an unexpected turn and he has been valiantly fighting for his life ever since. Touched by him and his family's story, I asked if I could respectfully share his courageous journey. Jake's wife Susan recounts the past five years of their lives. I feel strongly from our own personal experience, that prayer in numbers can bring about great miracles and tremendous peace. I ask as you read the Schneberger's story, that you pray for them in your hearts as they continue to fight for Jake's life. In 2010, Jake began having frequent, reoccurring migraines. He had them as a child, but they were not nearly as severe as the migraines he was experiencing at 30 years old. 2011: Our family physician finally recommended an MRI and referred us to a local neurologist. After being informed that he had a very large brain tumor in his left cerebral hemisphere, three doctors said there was nothing they could do for him. After our son's 1st birthday, we traveled to MD Anderson on April 31, 2011. Dr. Prahbu informed us that he could, in fact, help us and that there was no timeline on Jake's life. We learned that the tumor infiltrated both frontal lobes of his brain and that he wanted to remove the largest portion of the tumor on the left side. He scheduled a craniotomy for May 13, 2011. Dr. Prahbu performed a 6-hour awake craniotomy to remove 60% of his front left lobe. 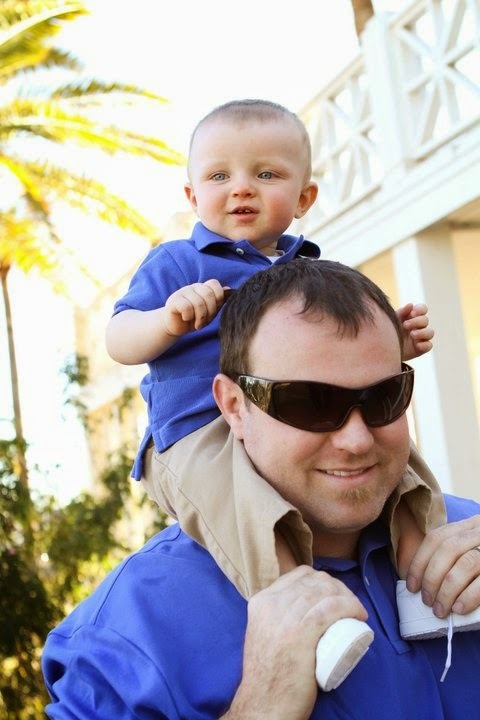 He was diagnosed with having a Stage 2 Oligodendroglioma. Jake can recall details from the surgery as he was answering questions the entire time to indicate to Dr. Prahbu how much of the tumor he could remove without causing severe neurological damage. Jake recovered remarkably well. He continued chemotherapy after the surgery and had no lasting physical problems. It was amazing. 2013: After two years of regular check-ups and no indication that the tumor was growing, Jake was feeling back to his "old self" and he skipped his final check up in August 2013. On December 4, 2013, Jake was taken back to MD Anderson for complications. His memory had lapsed and he had severe problems with his vision. An MRI showed that Jake had developed a new, more aggressive glioma tumor that had now infiltrated all four sections of the brain. We relocated to Houston at the end of January for a 6-week rigorous daily radiation treatment to stop the tumor from growing. The radiation was a success and we were sent back home to Oklahoma. He continued chemotherapy throughout the year with weekly visits to his local oncologist, and every 6 weeks a trip to MD Anderson for an MRI. 2014: The doctors were confident that the tumor was stable after his last MRI on November 15, 2014. He continued his cycles of chemotherapy, but began to have severe pains in his neck and back. The local oncologist sent him in for several scans of his back, but there were no signs as to why he was having so much discomfort. 2015: The back and neck pain continued to worsen to the point that he would stay in bed for days at a time. He was just about to finish chemotherapy and the doctors assured us he would begin to gain weight and get his strength back. They believed Jake's pain was probably due to the toxic levels in his body from the constant chemotherapy. February 5, 2015 Jake picked our son up from school and came home to take a nap. As I tried to wake him from his nap, I recognized the same glazed look and lack of response I had seen before. An ambulance transferred him to a local emergency room, and after an MRI and a consult with specialists at MD Anderson, the decision was made to MedFlight him to Houston. When he arrived, he had a low-grade fever and was incoherent. At first, they said an infection in his spine was probably the cause of this episode. After several tests came back negative, they scheduled him to have a full spine MRI and spinal tap. Four days later, we received the devastating news that the second tumor had significantly spread all throughout his spine and into his spinal fluid in 82 short days from his last MRI. He is now diagnosed with Leptomeningeal Disease and given weeks to live. An account has been set up to help the Schneberger family during this difficult time. To help the Schneberger family. please click Here and Here.